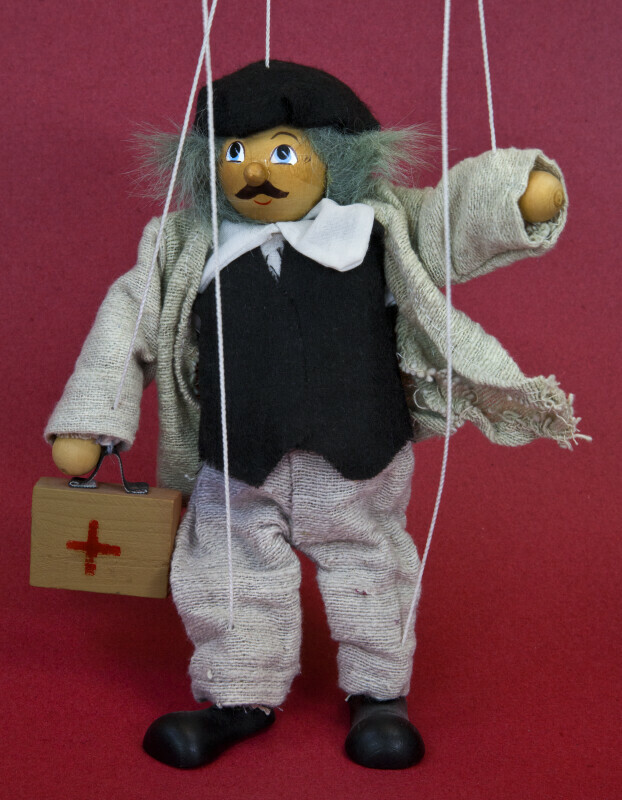 Handcrafted male marionette with five strings. His head, torso, hands and feet are made with wood. He is carrying a wooden case with a red cross on it (perhaps he is a doctor) His jacket and pants are made of linen, and he is wearing a felt vest and hat. The figure stands 9 inches (23 cm) tall.